The AGATEC RCR500G Laser Detector and Remote Control is designed to extend the outdoor working range of green beam rotary lasers. Featuring two accuracy levels, five display channels, and audio indication, this laser receiver also includes a rod clamp and magnet for mounting to metal studs and ceilings. Plus, it operates within a range of up to 492 feet. With remote control capability, the RCR500G enables construction professionals to access the Agatec 220HV, LT300 and 510 series lasers from a long distance. This laser detector can control the grade, scanning and rotation speeds of the lasers from a remote location, allowing the instrument to remain undisturbed when making changes. The RCR500G has dual LCD displays that show five operational channels, allowing you to read the laser detector from either side of the rod and gradually move to on-grade more accurately. 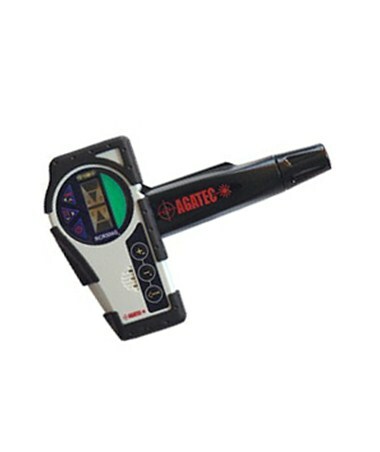 This Agatec laser receiver provides construction professionals with fine and coarse accuracy modes for various job requirements. In addition, the audible tones will alert you of the beam location without watching the display. The over molded rubber housing provides additional protection and ensures job site durability. Using a 9V battery, the RCR500G has a continuous operating time of up to 50 hours. 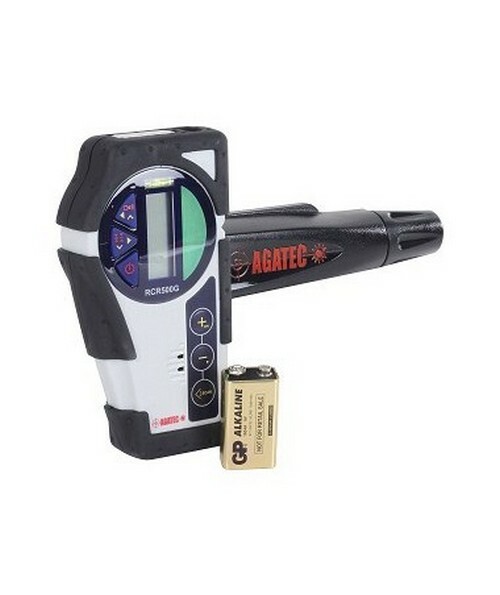 This Agatec laser detector package comes with a rod clamp, battery and 1-year warranty. *The new item number for this AGATEC RCR500G Green Beam Laser Detector/Remote Control is 775872, replacing the old item number 1-16631.